Zimbabwe imported 1.63 billion litres of petrol and diesel in 2018, a 24% increase on the previous year, Zimra data has shown. The country has experienced extended fuel shortages since October 2018, as a foreign currency crisis deepened while demand surged. Government ordered a 150% fuel price increase on January 13 to dampen demand, a steep hike which triggered country-wide protests. Long lines which had become a permanent feature at service stations have started to diminish as consumption responds to the new prices of $3.31 per litre of petrol and $3.09 per litre of diesel. 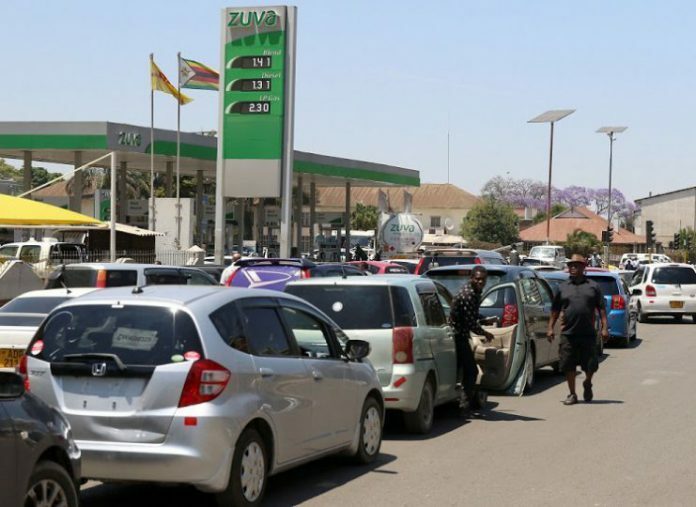 Zimra attributes some of the fuel demand to cross-border motorists and truckers who took advantage of prices in Zimbabwe, which were for a while the lowest in the region in real US dollar terms. “The demand for petrol and diesel was heightened by cross border travellers who preferred to fuel in Zimbabwe due to its flexible exchange rate of Real Time Gross Settlements,” Zimra said in its revenue report for 2018. Petrol imports for the year were 570.17 million litres, up 39.92% from 407.49 million litres in 2017. Diesel imports increased by 26.84% from 834.40 million litres in 2017 to 1.06 billion litres in 2018. Zimbabwe spent US$1.146 billion on petroleum imports in 2018, according to central bank data. Excise duty, of which 71.34% was drawn from fuel, raked in $909 million and was the single largest contributor to Zimra’s gross revenue collections of $5.36 billion in 2018. In 2017, excise duty trailed corporate tax and VAT on local sales in total revenue revenue contribution. Biti conviction: Does he keep his seat in Parliament?